Does this do something similar to the PGA 2? A man must love something very much to practice it, not only without hope of fame and fortune, but without hope of doing it well. Honda_boy wrote: Does this do something similar to the PGA 2? I'm not sure about the specifics, but I will say if the controls are difficult to use, it will be a pain to make an EQ curve. What else does a similar thing to the PGE 2 that you know of? Take a look at the Alesis DEQ830 or TC 1128. I use the DEQ830. Not bad, but the 30 bands and no physical sliders gives me control anxiety. So I taped over all the non-Rockman standard ones (with few exceptions). Yes that is a Rockman shirt. It's not MIDI, but the two sides would let me do pre and post distortion with my Sustainor. No foot switching though, I'd have to use some kind of remote loop to control it. Just a general blurb about the PGE2.... for me, I don't see the hype. The PGE2 is a MIDI EQ. Nothing more. 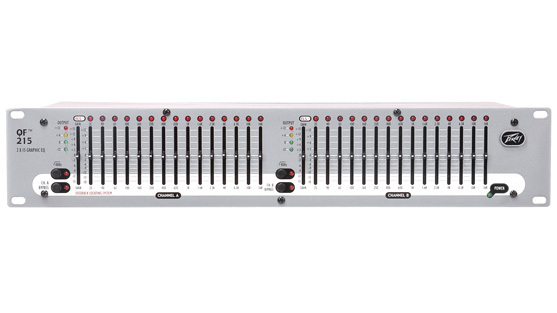 There are plenty of MIDI EQs on the market (old and new). The real trick, just like the regular SR&D EQ, is in the EQ's frequencies. All the EQs can have their frequencies tweaked.... meaning, you can buy ____ MIDI EQ, and change the frequencies to match the PGE2. For a fraction of the price. Just my view on them. And another way is to get something like the Rocktron Patchmate - which is a super cool unit. 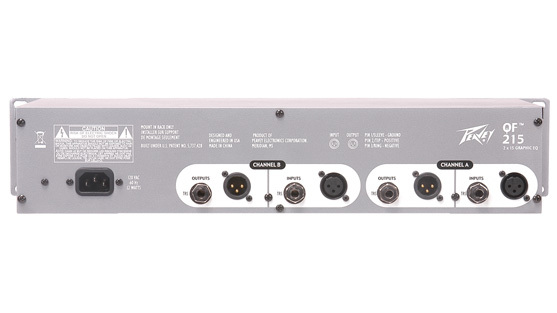 It combines signal routing, something like the Rockman Octopus, AND 8 loop boxes... all for less than $300 brand new. Then just mix it full of non-MIDI EQs. Non-MIDI EQs?!? Why wouldn't you want 99 different presets?? Unless you are in a cover band, just how many different tones do you really use? For me, it's about three - clean, crunch, and a lead tone. Throw in a few cover songs with specific EQ settings, and I'm still well under the 8 that the Patchmate will give. Again, just my thoughts on the subject. But back to the basic topic of EQs.... ANY EQ is good for a Rockman setup. The key frequency will be that 500Hz. All the better to tame/change/enhance a Rockman sound. It just depends on what tone you are after. The MXR 10 band and 6 band EQs are fantastic units. rbc wrote: No foot switching though, I'd have to use some kind of remote loop to control it. Actually, it just occurred to me. If you patch the pre-distortion EQ in between the Sustainor effects loop send and the dist/edge jacks, that EQ will only be inline when the Sustainor is set to distortion or edge. That way, you only have to control the EQ after the Sustainor, or try to figure out some compromise setting for clean and edge/dist modes.